There are different things in India that does attract tourists in huge numbers from all over the world. Among all attractions and heritage sites, one such wonder is the Indian Railways. It currently boasts of having tracks throughout the length and breadth of the country to help transport passengers to any corner of the country with great ease. With time, Indian Railways did have undergone several evolutions to take the top spot in the transportation system. Indian Railways It has been serving the country with its impeccable timely services for over 170 years. It was during the British Rule in 1843 that the very first track was rolled out linking Bombay and Thane, which was over 21 miles. From1843 till date, it has been adapting modern ways combining it with fascinating innovations to provide joyous and safe journey to its passengers. Throughout this time, Indian Railways has been updating itself continuously for betterment and to offer the very best to its passengers. One can find modern updated engines running on the tracks to move at great speed, helping people to reach their desired stations on time. The old engines, after getting replaced by the modern fleet, did find place at museums across the country, where they are preserved and displayed to the entire world, showcasing the pride of the country. The early engines are considered to be heritage artefacts and definitely are of historical importance. One can visit the rail museums to have a look at the huge collection and about its glorious past. The museums do enlighten the present generations about the rich heritage and long history of Indian Railways. The glorifying engines and elegant coaches along with other valuable artefacts stand the testimony of time and of the glorious past of Railways. Railway museums can be visited in various cities of the country, which consists of the country’s historical train heritage. Such train heritage does mark railways’ developments in the country. 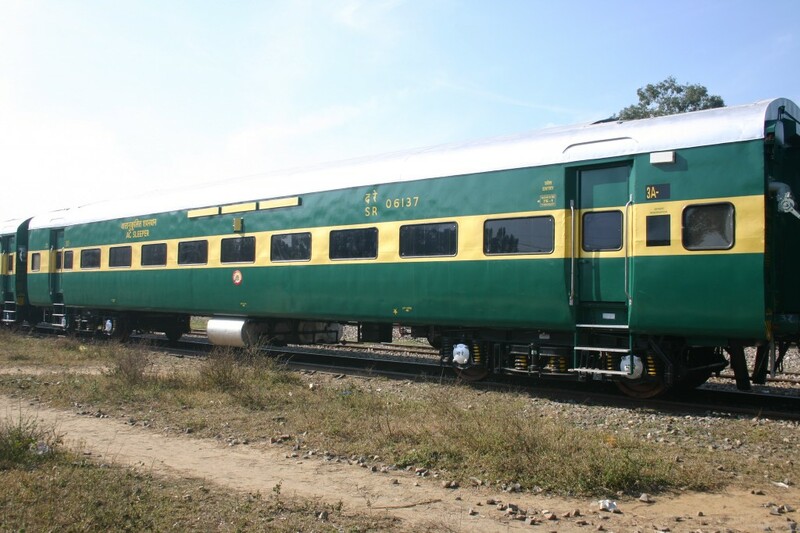 Few prime railway museums of the country are also listed here that boasts of rich fleet of heritage coaches, engines and toy trains. National Rail Museum located in Delhi is considered to be the most significant and famed of all rail museums in the country. Some of the prominent trains are present here, with the museum stretching over 10 acres. It is constructed amazingly having intriguing indoors and outdoors. It displays more than 30 locomotives. The museum also is said to have approximately 17 unique and old carriages. It does boast of having an impassive collection of around 100 real size railway replicas. The replicas are found to be working and static models. The traditional furniture and signalling equipment adorn beautifully the museum. Among the collection, the most prized possession is the first train model – Bombay to Thane that witnessed emergence of railways in the country. The must visit part here is the mono rail or toy train that takes passengers to a joyous ride. The other attraction here is the 1855 exotic steam engine – The Fairy Queen as well as 1886 regal gold – tinted saloon car belonging to the Baroda Maharaja. Among the modern developments made, the Indian Railways has adopted modern technology making it possible for passengers to find out train seat availability using their computers or smartphones from anywhere and at any time.